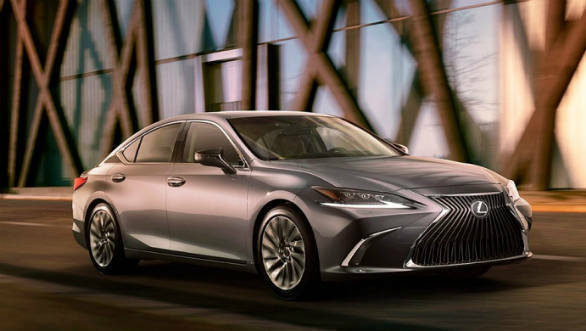 After its global debut at Auto China 2018, the newest version of the Lexus ES 300h hybrid luxury sedan has now been made available in India. Buyers can book their from today, July 19 onwards at Rs 59.13 lakh (ex-showroom India). The ES 300h is based on the Global Architecture  K (GA - K) platform and is powered by an updated version of the 2.5-litre petrol-hybrid combination seen on the last generation car as well as on the Toyota Camry. The engine makes 217PS and comes with a new fourth generation hybrid system that is BS-VI compliant and returns a claimed 22.37 km/l. Wheel sizes have also increased to 18-inches from the earlier 17. 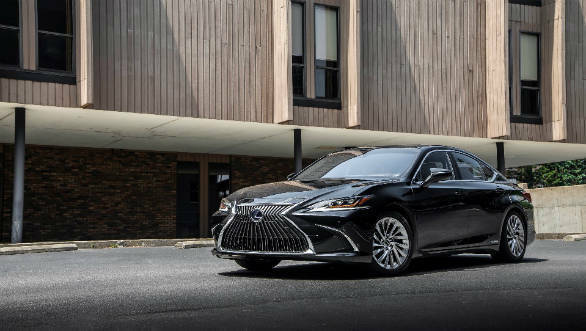 The interiors have been tweaked slightly with the most prominent additions being the redesigned 7-inch instrument cluster, 12.3-inch centre console and an updated 17-speaker Mark Levinson infotainment system, as seen on the LS and NX cars. The console-mounted climate and audio controls along with adjustable and heated semi-aniline seats, and the 17 speaker Mark Levinson, wireless charging round off the major changes to the interior. The rear legroom has also been increased by 996mm, by way of a longer wheelbase.